Claims of intelligence agency involvement in UFO and paranormal research have been abundant since the 2017 NYT story on the Advanced Aerospace Threat Identification Program (AATIP). Some of the suspicions of relationships between the intelligence and UFO communities were confirmed and others are certainly warranted. Yet other such connections are rather loosely formed and lack substantiation while nonetheless increasingly taken for granted as common knowledge. a significant Skinwalker-DIA connection may eventually prove valid to some extent, its verification is elusive. It’s important we proceed carefully in drawing conclusions, and perhaps wait to do so until adequate evidence is readily available. George Knapp has long been central to the Skinwalker saga. On the heels of the well known NYT story, Knapp reported NIDS work at the ranch and his related book “caught the attention of the DIA and Senator Reid.” Perhaps so. It would be both helpful and interesting to know what specific DIA personnel, as well as how the events unfolded. Others have been much more direct and conclusive in putting the DIA at Skinwalker, though evidence is lacking and not in proportion to their seeming certainty. In statements published in June at Mysterious Universe, filmmaker Jeremy Kenyon Lockyer Corbell discussed what he described as learning about DIA involvement at the ranch. “The DIA attempted to scientifically investigate the occurrences experienced at Skinwalker Ranch,” Corbell further stated. Hunt For The Skinwalker by George Knapp and Dr. Colm Kelleher. I was initially drawn by the stories about a broad scale of paranormal events, and my interest was cemented years later when I learned about the DIA (Defense Intelligence Agency) involvement, even though I could not publicly acknowledge it. 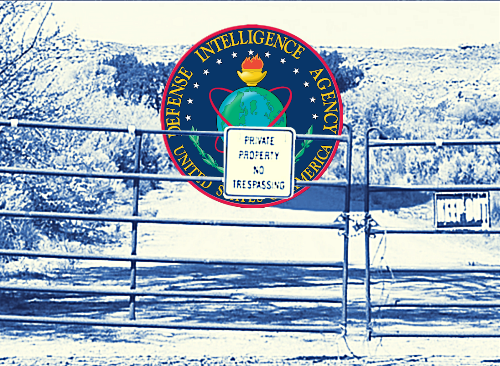 The DIA attempted to scientifically investigate the occurrences experienced at Skinwalker Ranch. Investigators used the unique location as a “living laboratory,” attempting to understand for themselves the varied phenomena that display on and around the property. One of the aims was to determine if The Phenomenon presented a threat to National Security, and another was to attempt to determine the mechanisms utilized by The Phenomenon. The fact that the United States government was involved at all is fascinating. A request for further comment was sent to an email address offered at Corbell’s website. I asked if a source could be provided for the assertion the DIA was involved at Skinwalker Ranch. Also requested were comments and supporting materials that would help clarify such involvement. Corbell did not immediately respond. I empathize a great deal with finding such info of interest, but I strongly urge those relaying it to provide the supporting docs and sources if possible. I’d also encourage the rest of us to delay making up our minds about the circumstances until such supporting evidence is publicly available. Moreover, I invite consideration we can’t know if such work was actually scientific if we aren’t informed how it was conducted and what took place. Casual and incorrect use of the term “scientific” to describe activities undertaken in UFO and paranormal genres should often receive much more scrutiny, in my opinion. That’s the case whether or not Corbell may prove to be correct about his expressed understandings of the Skinwalker situation. In years past I sought evidence through the Freedom of Information Act for IC involvement with Robert Bigelow-founded organizations National Institute for Discovery Science (NIDS) and Bigelow Aerospace Advanced Space Studies (BAASS). FOIA requests submitted to multiple agencies returned no results, but I did not specifically query DIA until more recently. A request submitted to DIA in late 2017, seeking copies of contracts undertaken with and funding provided to NIDS, resulted in no responsive documents. In the wake of the latest wave of assertions that Skinwalker research involved DIA, I additionally asked specifically about BAASS. I submitted an FOIA request to DIA seeking contracts and files pertaining to BAASS. To be clear, this is not the same as previous yet to be filled FOIA requests seeking documents concerning the AATIP. DIA responses are pending on involvement with BAASS as well as records on the AATIP. There are several complications with the increasingly popular assertions of the Skinwalker-DIA connection. The time frame becomes a point of question, and Bigelow’s involvement is a potential source of confusion. The overlapping presence of various researchers and personnel of TTSA, intelligence agencies, and Bigelow organizations may also lead to incorrect assumptions and premature conclusions. Some of the vague generalizations offered by not just interested parties, but sometimes TTSA leaders and self-described insiders, are troubling, or at the least lack substantiation. It is such very generalizations that tend to cause some researchers to suspect several UFO-related topics are being haphazardly inserted into discussions of the scope of the AATIP. Some of those topics may in actuality amount to little more than recreational and unofficial interests of those formerly involved in the AATIP. The bottom line is details must be verified, not just inferred or asserted absent documentation. Personally, I suspect the intelligence community may well have been officially involved in research at Skinwalker Ranch. However, I am not convinced the purposes were entirely limited to the more popularly accepted assumptions or, if so, that the work bore substantial results. I’m also not convinced the acting agency necessarily or exclusively would have been DIA. Most of all, I’d prefer to suspend judgment until conclusive information is actually available. Verifying any such involvement, establishing if it was related to science-based research, and identifying the objectives remain critical to understanding the full extent of the situation. We simply cannot do so until we have the opportunities to view authentic documents clarifying funding entities, project objectives, methodologies, means of measuring progress, and similar relevant information. Perhaps in the end what TTSA, Bigelow orgs, and the Skinwalker saga teach us, at least in part, is that if people desire to present information in coherent, systematic and clear ways, they do so. If the issues are muddled and confusing, perhaps we should more deeply consider the extent they actually want us to fully understand their activities. It is not our responsibility to go behind people making claims and fact-check their statements; it is their responsibility to offer conclusive evidence in the first place when they frame their claims as fact. The only way to actually gain insight into what an intelligence agency claims took place within any given project is to obtain the verifying documents. If people cry foul, trying to lead us to believe otherwise and relax our standards, it is completely reasonable to inform them conclusions cannot be drawn until the available evidence allows.